I was expecting to spend a fair amount of time playing games on my iPod Touch / iPhone, but that never really happened: I rarely found myself in a situation where it was my only game-playing device available, and, for me, games on it didn’t manage to compete against games on other devices. With my iPad, however, it’s a different story: I’ve only had for a few months, but I’ve already done significantly more game playing on it than I did on the smaller devices. And I’m really optimistic about the future: as well as traditional console-style video games, you’ll discover below that I’m finding it a great device for puzzles, and we’re also seeing board games show up for it. So I figured it was time to do a roundup of what I’ve been playing on the device. I’d gone through the computer version of Plants vs. Zombies a month or two before buying the iPad. It was great, but using the touchpad was a bit frustrating at times, enough so that I couldn’t complete a few of the minigames that demanded fast mouse action. The iPad, however, doesn’t have that problem, so I bought Plants vs. Zombies HD as soon as I got the device. And it too is great: even though I’d just been playing a different version of the game, I dived right back in, went through the story mode twice, finished all of the minigames, and earned all of the achievements except for 40 levels of endless zombies. (Liesl also replayed the game on the iPad.) 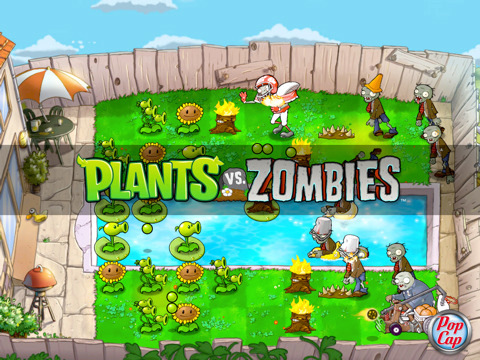 It’s my preferred version of the game: while I slightly prefer the puzzle mix on the computer versions (in particular, the extra Zombies vs. Plants levels), that’s only a slight difference, and the better controls more than make up for it. 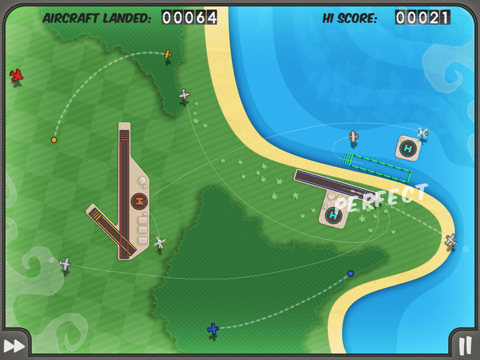 I figured I should go through some of the popular app store games, and Flight Control HD was my first choice there. After all, it sounded like a perfect match of control scheme to the device: what could be better than the iPad for a game where you’re tracing out landing routes for planes? And, indeed, the controls are great. But the gameplay is great, too. For endless puzzle games like this, the big question is balance: how long will you be able to play while in the range where you’re feeling challenged, like things could go wrong at any moment, but where if you execute well you’ll survive the challenge. And Flight Control HD keeps me in the zone as well as any game I can think of: there’s only one gameplay mode where I feel I can play forever if I don’t screw up, while there aren’t any gameplay modes where I feel that it just gets too hard for me too fast. They also vary the tension nicely within the play session, sending planes at you in gradually rising/falling waves, so you don’t have the lack of breathing room of, say, Tetris . I’m still picking up this game periodically to play it at odd moments, and I bet that I’ll be doing that a year from now. Liesl’s played it more than I have, and various guests (especially Liesl’s dad) have quite enjoyed it as well. 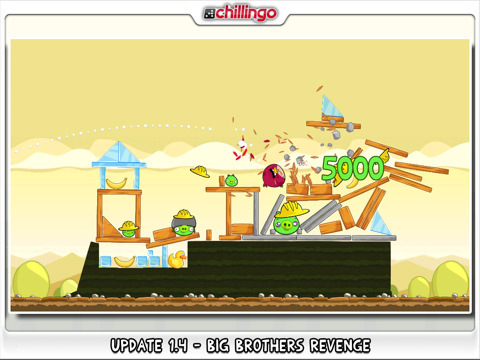 Given my experiences with Flight Control HD , I thought I should try other popular iPad games, and Angry Birds HD was my next choice. And it’s charming enough, and was fun for the first few levels, but I got tired pretty quickly. It’s a physics-based puzzle game, but I never got the feeling that I’d had mastered, or even could master, the physics: changing my launch point by a pixel or two would significantly affect the outcome (in fact, I’m not convinced that there isn’t randomness even if you launch from the identical location), so rather than thinking about a level and experimenting until I found the correct approach, I would instead basically do the same thing over and over again, and eventually it would work. 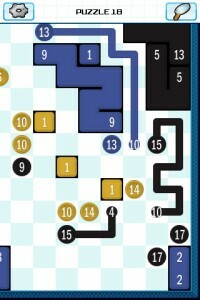 It also gates levels very strongly: you can’t play a level until you’ve solved the preceding one. 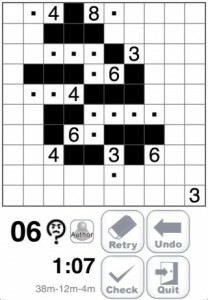 Which I think is a bad idea (I’d much rather have them gated by, say, the number of stars you’ve earned), though in practice it didn’t bother me too much because I didn’t end up getting stuck. That probably would have happened eventually, but I gave up on the game before I got to that point. 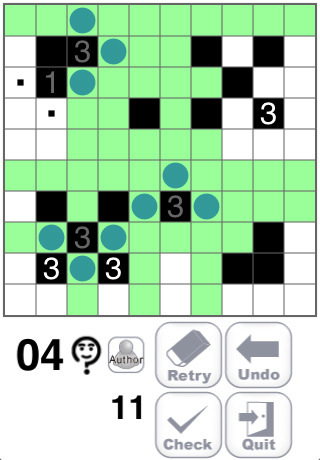 As of this writing, they’ve introduced three of their puzzle types: Akari , Shikaku , and Nurikabe , with a free version plus four paid versions of each. But that’s constantly changing: they seem to average releasing more puzzles about once a month. 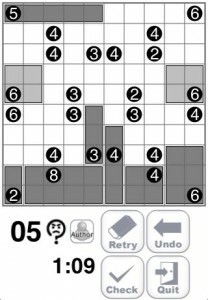 The three puzzle types they’ve chosen so far all work quite well with a touch interface; Shikaku’s controls are particularly soothing. Piczle Lines is another iPhone puzzle game that controls noticeably better on the iPad. It’s not quite as pure as the Nikoli games (in particular, there are puzzles with multiple solutions), but the core puzzle game play is solid, and the slight seasoning of a story mode turns out to work well. I really wasn’t planning to start playing it now, given that I’m not done with Picross 3D yet, but I downloaded it on a lark and it’s managed to hook me fairly well. (And I think it’s the better of those two games…) Incidentally, it’s free with additional puzzle packs that you can purchase in-game (and that you can transfer across devices up to a limit of five or so); that strikes me as the correct model for this sort of thing, I hope Nikoli follows suit.